What would a new year be without a (boring) accounting of my reading for the year just passed? Not surprisingly, my reading took a big hit this year, what with Life Happening and all. I only managed to finish twenty-two books—and I’m actually surprised I read that many. Sometimes it took me an entire month to finish one book. And I’m not talking weighty tomes, either. Of the books I read, nine were by J. R. Ward. I fell into that cracktastic obsession and kept going. Insane books, really, but I love them. These are big time comfort reads for me. In fact, almost everything I finished this year was a comfort read. Only seven of the books I finished were from the TBR pile, I’m afraid. I had hoped to alternate new/TBR throughout the year, but it didn’t happen. And only three were ebooks. It looks like I am a hopeless dinosaur. I just don’t enjoy the ebook experience and only indulge when it’s a holiday or late at night and I must start the next J. R. Ward book (et al.) immediately or the book is only available as an ebook. Yes, I understand all the arguments about saving space in my house, etc., but it doesn’t make a dent in my book acquisitiveness. I bought fewer books this year but still managed to buy four times as many as I read. I will probably be one of those old ladies whose mummified remains are found buried beneath a pile of hoarded books. I certainly own enough to build a tomb. I’ve been reading Sherman Alexie’s wonderful collection of stories, The Lone Ranger and Tonto Fistfight in Heaven, on and off through the year, as well as some non-fiction, most notably Legends of the Fire Spirits: Jinn and Genies from Arabia to Zanzibar by Robert W. Lebling; some books on early nineteenth-century California and Los Angeles; Jung’s memoir, Memories, Dreams, Reflections; Henry Miller’s memoir, Big Sur and the Oranges of Hieronymus Bosch; and Women Who Run With the Wolves by Clarissa Pinkola Estes—but I haven’t finished any of them. I pick them up (sometimes for days, sometimes for an hour) and put them down again. I don’t have the sustained concentration they need. At this point in the year, I had to make myself stop reading Ward books and go on to something else for awhile. This one is making the rounds, so I thought I’d chirp up. Lincoln’s Dreams by Connie Willis. All I have to do is remember its final line and my heart fills with emotion. To Say Nothing of the Dog by Connie Willis. A comic masterpiece. Kage Baker. Everything. Her combination of humor and sorrow, darkness and light fit my worldview perfectly, and her characters are like old friends (and enemies). If I had to choose just one…I couldn’t. But I did love her first Company novel, In the Garden of Iden and The Anvil of the World beyond distraction. Andre Norton. A seminal influence on me. I loved her Witch World series from early days. The Iron Duke by Meljean Brook. I love her Guardian series, too, but this one is so much fun, the characters so engaging, the world so deeply realized and brought to life, that it was an utter pleasure from first to last. Dead Until Dark by Charlaine Harris. The Sookie Stackhouse books are so very much better than that tatty TV series. Moon Called by Patricia Briggs. 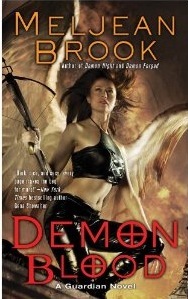 The first Mercy Thompson book. Gotta love a character with the last name of Thompson, but in the case of this series, I think Ms. Briggs creates wonderful characters and moves them through a logical and consistent alternate contemporary world. Black Ships by Jo Graham. Wonderfully rich and well drawn historical fantasy that lives inside you. First of the Numinous World series. Unholy Ghosts by Stacia Kane. 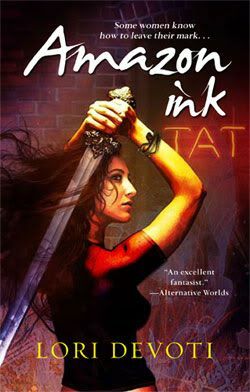 Dark, lovely, well-written, well-imagined futuristic urban fantasy. The Historian by Elizabeth Kostova. A massive recent-past historical fantasy, but riveting from the first page. A scholarly thriller. Damiano by R. A. MacAvoy. This historical fantasy trilogy (Damiano, Damiano’s Lute and Raphael) is one of the most amazing and moving I’ve ever read. She’s an incredible writer. I’ve loved everything I ever read by her. I just wish she was still writing. The Outback Stars by Sandra McDonald. The first book in a great sf trilogy: the Australian space Navy, a touching love story, Dreamtime mythology made real. Ilona Gordon – Ilona and her husband write together. Their Kate Daniels series is consistently interesting and fun. Slightly in the future, semi-dystopian, urban fantasy. Sunshine by Robin McKinley – Another slightly in the future, semi-dystopian book, with a breathless narrator you will either hate or love. I adored her. Working for the Devil by Lilith Saintcrow – First book in a five part series. High octane, futuristic urban fantasy. A Wrinkle in Time by Madeleine L’Engle. Another seminal work. The J. D. Robb Eve Dallas series. These are more police procedurals, but I’m including them because they’re set in the mid-21st century. They’re my ultimate comfort read! I know I’m going to kick myself, be chagrined, and otherwise embarrassed for forgetting someone essential. I’ll add ETAs as needed. It’s been a crazed month what with intensive reading of novels/stories for critique and intensive revising of novels/stories for moi and work going a little bit bat****. Fortunately, there were some fun reads helping me make it through. A great entry into the series. Major changes, though, so if you haven’t started these books yet, don’t start here. In fact, start with book one. There’s a character arc, people! I enjoyed this. It has an almost traditional romantic suspense plot, except for the sealies and the demons running around, but well handled and Ms. Kantra is a good writer. 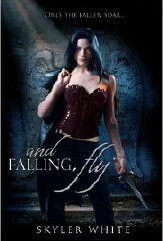 Very nice paranormal romance. I hope to see this one on the shelves some day. I thoroughly enjoyed this, really fell into the story and got towed along. That doesn’t always happen for me, so I appreciate it when it does. I found the beginning somewhat off-putting and I almost put the book down, but decided to push forward and I’m glad I did. It’s entertaining, good character interaction, with well thought out worldbuilding that made it seem credible to me that Amazons have survived in secret all these years. I thought the characters particularly rounded, with a nice understanding of the mistakes we make and the lessons we learn from them. I also liked that Ms. Devoti resolved the mystery of this story, gave me a feeling of completion, yet didn’t tie everything up in a neat little package. There’s room for the characters to do more growing and evolving. I hope to be able to read about that in future books. 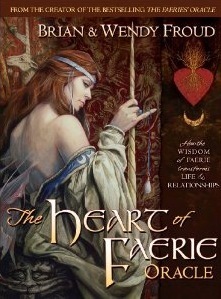 A beautifully-illustrated oracle that uses Faerie to explore relationships: to others, to oneself, to the universe. Lovely and approachable. I love this series and this is a worthy entry into it. Ms. Brook has really hit her stride. A short, fantastical, compelling read that leaves as many mysteries as it solves, winding around itself like the spiral staircase at the center of the story. Beautiful writing and a beautiful raveling and unraveling of a character. The writing is good, the characterizations are mostly excellent, the premise was interesting, BUT I found the plot so transparent that I guessed the whodunit quite early on and much of the whydunit. As a result, the ending was flat and not particularly inspiring. The other plot element I didn’t care for centered around the main character, Tess Monaghan, doing stupid things. I realize that part of this is because Tess is a risk-taker, but she displayed such stupidity in some places (for an otherwise smart woman) that I felt it was more about authorial convenience in advancing the plot than true characterization. It’s really a shame, because I was excited by that premise: a mystery centering around the Poe Toaster, an anonymous man who for sixty years (until 2010) left roses and cognac on the grave of Edgar Allen Poe each January 19 (Poe’s birthday). I will probably read something else by Ms. Lippman because, as I said, the writing and characters were mostly well-handled, but I think maybe I’ll try one of her stand-alones rather than another from the the Tess Monaghan series. Listing listedness. Busy and distracted. This is a different kind of paranormal romance, lushly written and densely plotted, with a distinct literary bent. The story and worldbuilding are quite compelling—they drew me in and kept me reading. The characters, on the other hand, seemed rather flat through much of the first half of the book: representations of types rather than rounded people. But they found their feet about halfway through and grew some dimension. The ultra-lush prose got in the way of the narrative at times, I thought, but when Ms. White settled down and just wrote her story, this was a great read. I never thought of putting it down, so I’d say she did her job quite well. I loved this book. Told with heart and a great deal of humor, it had me buying the sequel before I’d even finished the first book. 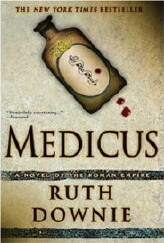 Gaius Petreius Ruso, the hero of the story, is a doctor, known as a medicus, for the Twentieth Legion stationed in Deva (current day Chester) in Roman Britain ca 178 AD. He’s a wonderful, well-rounded character: a man burdened with debt from his profligate farm family back in Gaul who is trying to earn a living as best he can and get the family out of trouble. He’s a good man who tries earnestly to do the right thing, with maybe more curiosity than is politically expedient for him. He’s something of a schlemozzle—not the guy who’s always spilling the soup on people (the schlemiel) but the guy who is always having the soup spilled on him. He can’t get a break. Like the time he just wants to drown his sorrows with the few coin he’s got left in his purse, but on his way to the bar/brothel, he sees a native girl being badly mistreated by a slave trader. She’s in bad shape—starved, beaten, her arm badly broken—but when she looks up at him with semi-comatose but beautiful eyes he uses the last of his money to buy her. He comes to call her Tilla because he can’t pronounce her complex Celtic name, and nurses her back to health, but it’s always a close call as to who is the master and who the slave in this relationship. Tilla is a beautiful force of nature. She may have been beaten half to death, but she never really submitted to being a slave and lives for the day she can escape. The interplay and growing relationship between Tilla and Ruso, the glimpse of the seedy side of the Roman empire, and Ruso’s attempts to solve the murder of two prostitutes—even though every official in town wants him to leave it alone—are the core of this book. It’s well-written, well-researched, and endearingly entertaining. Eat, Pray, Love by Elizabeth Gilbert – I wanted to see what all the fuss is about. Too early to tell. You are currently browsing the archives for the book lists	category. WordPress 5.1.1 and delivered to you in 0.898 seconds using 32 queries.